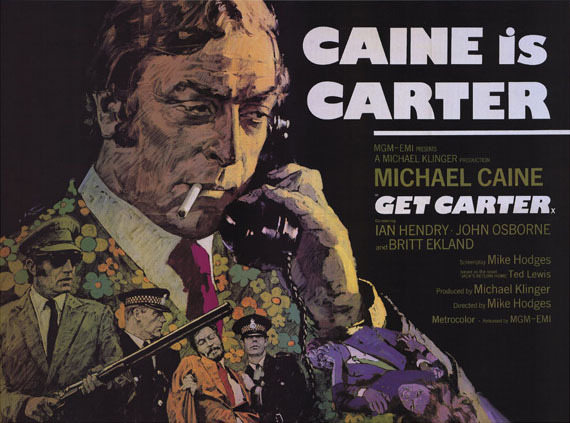 My second Michael Caine film (and possibly the best British gangster film of all time) Get Carter is, like Harry Brown, another hard hitting slice of realism filled with urban decay, poverty and violence. Directed by Mike Hodges and released at a time when the peace and love feelings of the sixties were giving way to a new darker hitting approach to film making, think of Kes (69), Straw Dogs (71) and Clockwork Orange (71), this brooding film tells the story of Jack Carter’s return to his home town to attend his brother’s funeral. Carter begins to suspect however that his death was not accidental, and as he digs deeper into Newcastle’s underworld, things begin to unravel. Alongside Caine and a number of other excellent performances from the cast, The city of Newcastle is undoubtably one of the stars of the show and I could have chosen any number of buildings for this post: the narrow city streets, the smokey pubs, the run down boarding houses, the tower blocks the swing bridge, right the way through to the amazing timber structures and the Coal conveyor out into the sea at Blackhall Rocks. 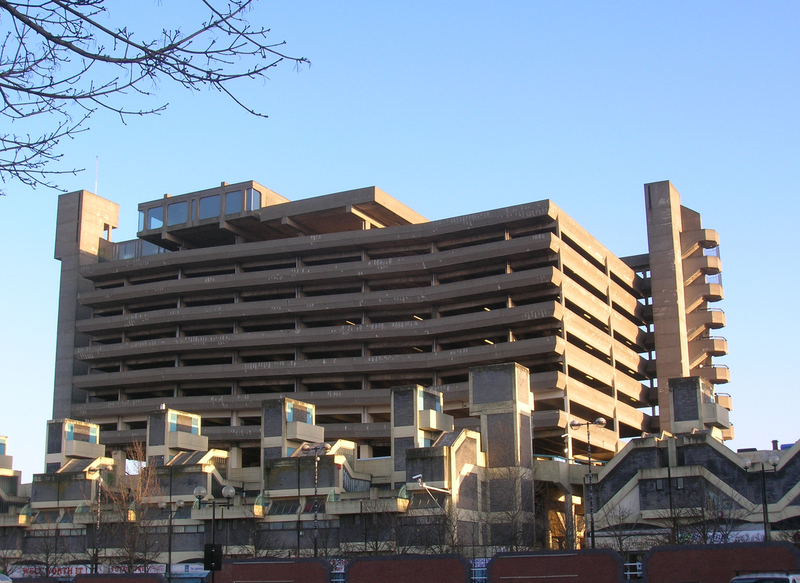 My chosen piece of Movietecture however has to be the Trinity Car Park in Gateshead. Designed in the early 1960’s and opened in 1969, Owen Luder’s uncompromising, concrete structure was the epitome of the New Brutalist movement of British Architecture. The famous scene with the 2 rather camp architects worrying about their fee (just after their client Cliff Brumby is thrown off one of the staircase ‘s) was set in a wonderful cafe space at the top of the building which Luder incorporated into the scheme in order to take advantage of the views across the City of Gateshead.